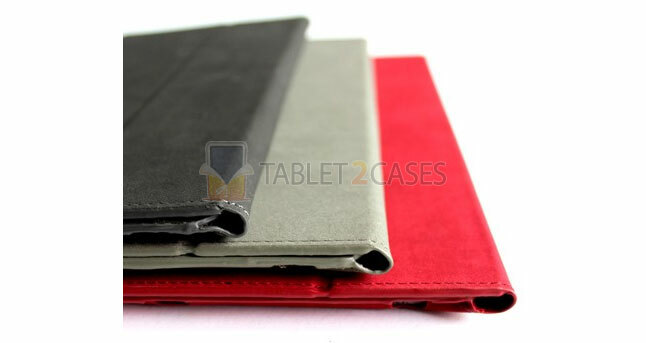 1IdeaCase just came up with another stylish protection your Apple iPad2 – iSmart case. This folding tablet case has a soft, microfiber inner lining, which helps to keep the pad’s screen clean and protected from scratches. The front of the case can be folded back, just like that of Apple’s smart cover , offering different angles for typing and viewing media. The iSmart case also utilizes built-in magnets to turn the iPad on and off by closing/opening the cover. The case comes in red, black or grey colors. All ports and buttons are free for access at any time, without the need to take the case off. iSmart case is extremely durable, offering the pad increased levels of protection from minor bumps and shocks. Despite its thin appearances the case holds the iPad firmly in place, preventing it from slipping out. The asking price for the case is $29.